The calendar is collaborating for this promotion. For the first week of August 2017 (1-7), they are bringing back the “After 2pm” Dash offer. As usual, you must first activate the offer for your account by clicking on the link in the email or the app. 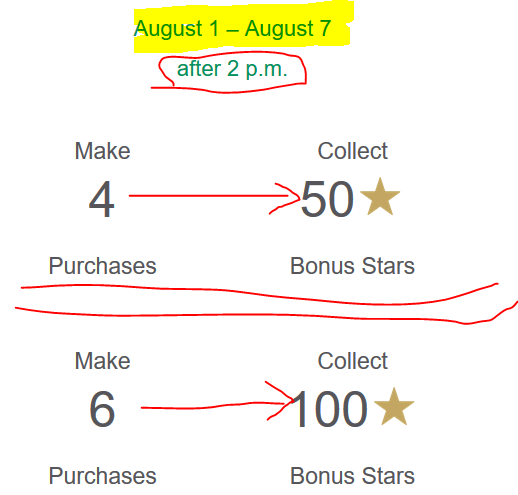 Once activated, you will earn 50 bonus stars if you make four separate purchases, OR 100 bonus stars if you make six or more separate purchases. As before, the offer is stackable with any other promotions they may be running over there. And given how the two reward tiers are set up, once you get to four, you double the bonus stars by buying an extra two items. Items paid with Rewards (as far as I can tell) do not count rewards-wise. If you are planning a purchase at the Peets website, you are in luck! Coupon code EMAIL sent to their email subscribers gets you 20% off purchases at their online store. The coupon is not good at their B&M stores. The coupon expires Monday 8/1/17, it’s only a 3-day coupon! If you want to reach the Starbucks GOLD Rewards Level (that’s the best level with the most rewards), then you have a shortcut! 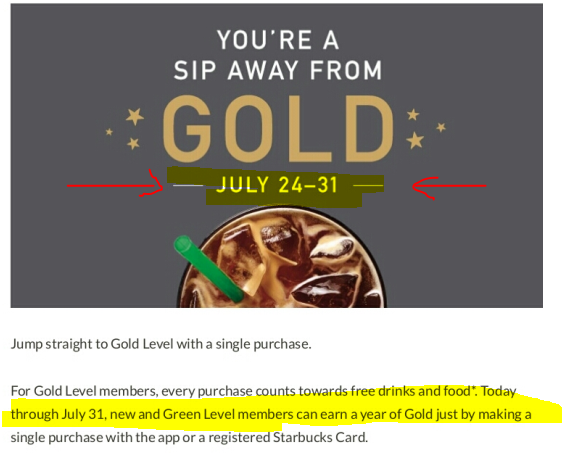 Until the close of business on 7/31/17, if you make a purchase (any purchase) using their app or a registered gift card, you will be upgraded to the GOLD level. The offer is good for GREEN tier rewards members, and for brand new members as well! PS: the page does not say whether existing GOLD members will get an additional year added to their membership, so assume it won’t. If you are a T-Mobile customer, make sure you remember to scoop up the freebies on Tuesday August 1st in 2017! 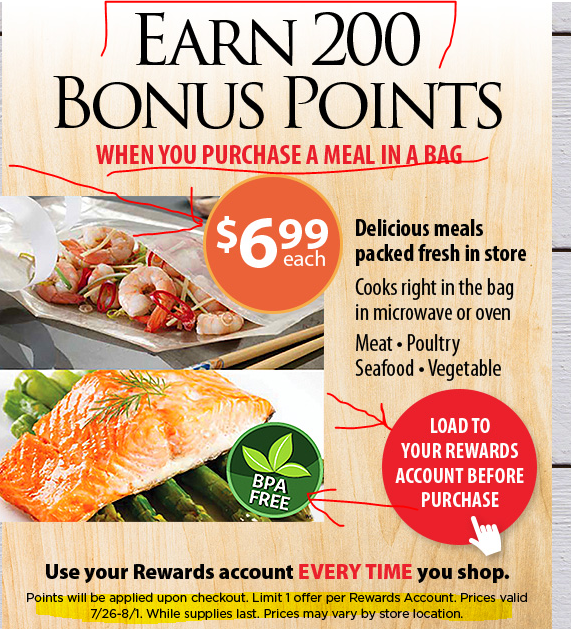 You get two digital subscriptions, and one free B&M food, along with two coupons! And then we have two coupons, 50% off a local Groupon but the discount is capped to $10 (obviously, but still good). And the return of the Shell gas coupon. Discounts and coupons are rare at Apple, so this may be a great promotion if you are planning online Apple purchases and you are participating in the Plenti rewards program! 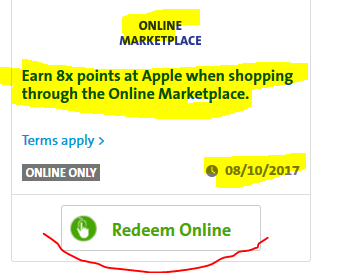 There is a new offer available there, which you must manually activate in your Plenti account first, that gets you 8X points on purchases made at the Apple online store. That’s 8% of your purchase! That’s pretty, pretty, pretty good! Once activate in your account, the offer ends on 08/10/2017 8:59pm MST. Detailed terms and conditions are available over there. A weekend trip at Starbucks? With free AC and free refills as a rewards member? If you check all of the above, check your emails or the Starbucks app for a new promotion that requires opt-in (pressing the “Join the Dash” email button). 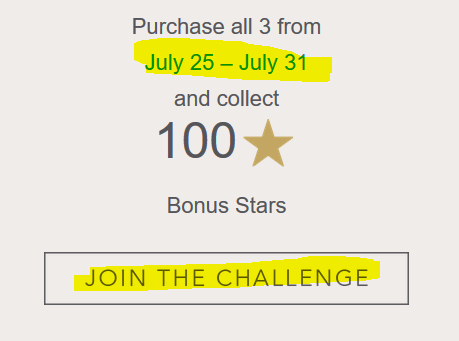 If you are eligible for this, you will earn bonus stars if you visit after 2pm local time during the weekend of July 28-30 in 2017. That’s Friday, Saturday and Sunday. For a limited time only, coupon code SWEET99 gets you the Prime Surprise Sweets Dash Button for $0.99 instead of its usual price of $4.99. You will still earn a $4.99 Amazon store credit after the first time you place an order using this button. The offer expires by 7/26/17 at 11:59pm pacific (or earlier if sold out). The Surprise Dash button is different from all the other buttons because you don’t know exactly what you are going to receive. It will be something, a box of sweets, but you don’t know which one. There are many varieties available, but you don’t decide which one you get. Amazon’s computers or randomness decides. It’s a bit like a Sample Box in that regard. PS: if you’ve never used a Dash button before, fear not! I just received my first Dash button and I will post a simple explainer post on how to use it! Stay tuned for that. PS3: the Dash buttons (including this one) are all exclusive to Prime members. 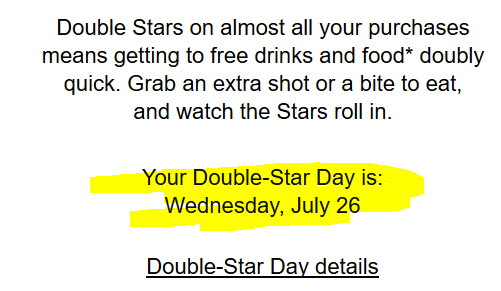 In addition to the various other bonus stars promotions running, Starbucks has also launched their July 2017 Double Stars day. Per the email I received, it says it will be Wednesday July 26 (2017). I don’t know if every rewards member gets exactly the same day, or if they spread them out throughout the week or month. Regardless, check your email or the Starbucks app to verify that it is so for your account. 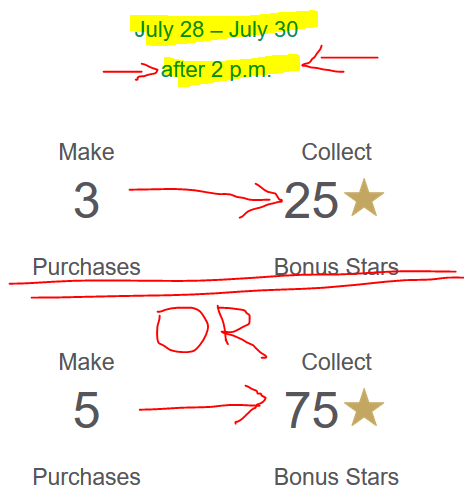 The Double Stars promotion do not require opt-in. They apply automatically as long as your account is eligible for them. With the two new $8-ish salad bowls/platters, the value of a Reward Star has increased, assuming you’ll redeem your free rewards on the new expensive $8 salad bowl. 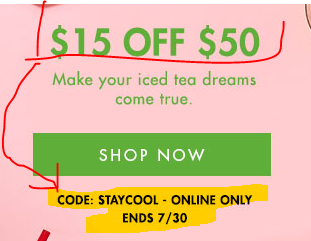 The coupon is good at the Teavana website only, not at their B&M stores. While there shopping, make sure you check their Sales page where you can see items on sale and clearance. You can also sort that page by price (top right corner, the “SORT BY”). There you will find that the 2016 Joy tea (their holiday special) is on sale for $5 per 2 ounces. The 2017 Joy tea was actually not bad! If you are not sure how the qualify the sandwiches, check the menu in their app or the big printed menu in their stores! The offer runs July 25-31. You only earn one 100 bonus during this promotional period, it does not roll and repeat.